A Russian-made disc is designed to store data for 100,000 years and will be resistant to fire, water and space radiation, the head of the Moscow-based laboratory of laser nano-structuring of glass told TASS on April 11. "In the normal conditions our disc will allow users to retrieve information with minimal errors even in 100,000 years. Moreover, our eternal disc will be resistant to fires, floods and even long space flights," Ivan Glebov said. The disc is made of quartz glass and has a standard CD diameter. The principle of data recording and retrieval is similar to that of CD, DVD and Blue Ray. "However, our research shows the possibility to increase the data volume to up to one terabyte, which is impossible for other types of optical disc," Glebov said. Data stored on hard drives may last only up to 50 years, while the lifespan of optical discs and magnetic tapes is no more than 60 and 100 years, respectively. 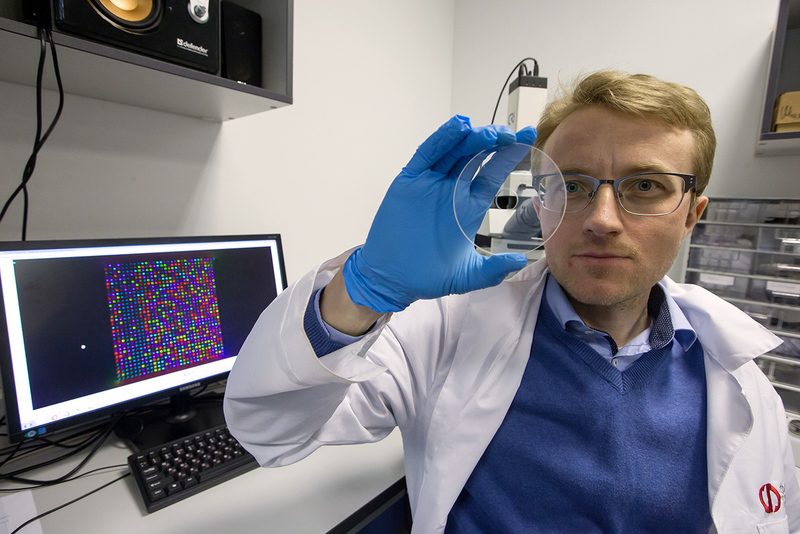 Therefore, the safety of information needed to be stored for more than 100 years is under threat, which prompted the laboratory staff to start developing the ‘eternal’ disk together with the Foundation for Advanced Research Projects, Glebov said. "This disc can stay on the Moon surface for a long time and later we can watch a film recorded on it," he added. The disc will be tested in libraries and archives and its production for commercial use will begin in 2021, he said.